© Scott Nickels. All rights reserved. 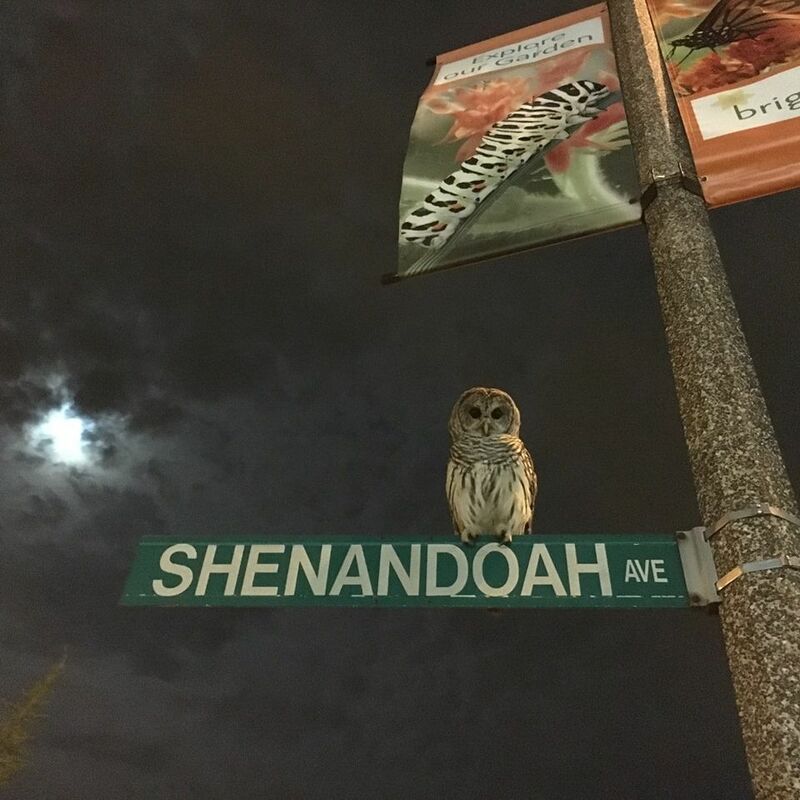 Helping to lead us home, we spotted this Barred Owl on our neighboring street, basking in the mellow glow of the late-summer moonlight. The owl is gazing right into the lens in a knowing fashion, gazing into one's thoughts. After gracing us with his presence, he silently flew off into the moonlit night. The presence of a caterpillar in the sign, the clouded moon and the majestic owl is the perfect combination of saying Farewell to Summer and greeting Autumn. Date Uploaded: Sept. 16, 2016, 11:53 a.m.